The Community Arbitration and Mediation project (CAM) has been one of GCI’s cornerstone initiatives since its inception in 2008. 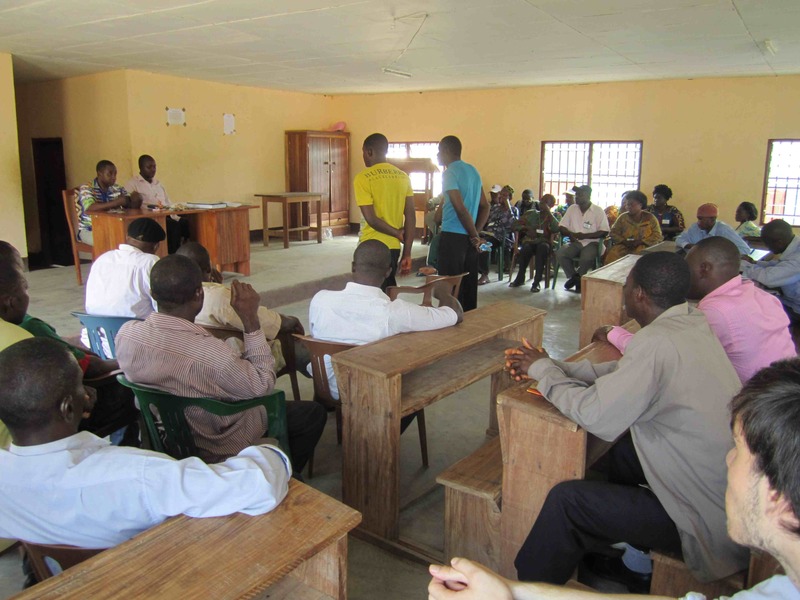 Conceived in light of the various deficiencies of the Cameroonian legal system, CAM is a long-term project that seeks to develop an out-of-court conflict resolution mechanism for settlement of individual, community, and commercial disputes. In doing so, the project will increase the rural, low-income population’s access to effective and efficient justice in the Mbonge Subdivision of Southwest Cameroon. This is achieved through participatory education, socio-political initiatives, and the creation of a long-term working relationship between GCI and the partner villages. By increasing the low-income population’s opportunity to access cheaper and more efficient forums of justice, the individual can have more money to invest in personal welfare, and the community can be better placed to focus on development. Given the legal challenges that Kumba and the neighboring villages face, there is a great need for local judicial bodies that can competently resolve low-level disputes. Achieving this goal, however, requires a long-term relationship between GCI and its partner villages, involving regular workshops, mediation training, and outreach with the village’s social groups. Regular assessments and communication between the village and CAM’s team are vital to the success of the project. With time, GCI seeks to facilitate communication and trust between the traditional council, the social groups, the vigilante group, the youth, and all other village residents. By building a stronger community, training the traditional council in better mediation techniques, and educating the social groups on issues of human rights and individual empowerment, GCI has the potential to strongly impact the efficiency and effectiveness of local justice in the Mbonge Subdivision and beyond.